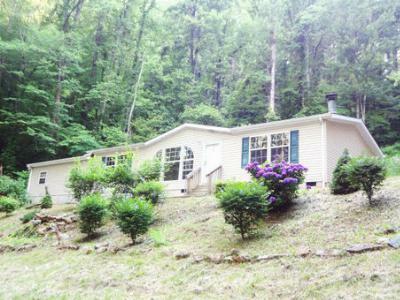 Just recently Kathy sold our property on Frazier Road. We were very pleased with her honesty and hard work in selling this property. We will have Kathy sell our home as soon as we are ready. She is very trustful and we realize how hard she worked for us. We recently sold a lot located on Tara Hill Rd. and Kathy handled everything so well. She was very professional and answered any questions or concerns we had promptly by email. The closing was extremely efficient, everything was in order and it was finished in record time thanks to Kathy and the work she put into the sale. Peaceful Setting on 3.83+/-Acres, very private. Easy Care Laminate Floors. Den with Wood burning Fireplace. 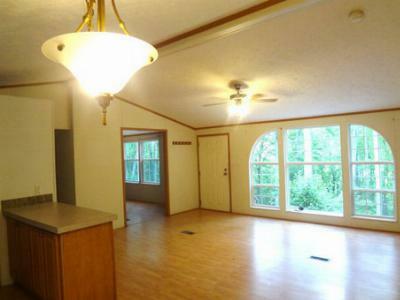 Home has 2 Bedrooms, 2 Baths, Spacious Master Bedroom. Comes with the ultimate Man Cave Consisting of 2 car attached oversized garage that is heated and cooled, has full bath, it's Wired for 220, plumbed for another water heater, has concrete floor, insulated double doors and laundry sink. Private Well, Underground Utilities, lovely landscaping. Large Deck in back. You do not see another home. Peace and Serenity surround you. 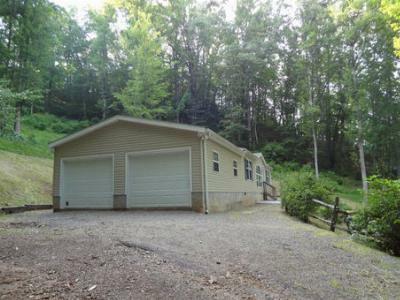 Two Car Garage, Heated and Cooled, Wired for 220, Has Shop Sink plus Full Bath with Shower and Workshop Area. Schools servicing this area include Cowee Elementary, Mountain View 5-6, Macon Middle and Franklin High School all within 10 minutes of this home. Located in Franklin, NC less than an hour to Cherokee, NC and Harrah's Casino, 70 minutes to Asheville, NC and only a 2 hour drive from Atlanta, GA. This area is a haven for Hiking, Kayaking, Hunting, Gem Mining, Antiquing and Fishing. It's a true mecca for those who love the outdoors. Over 51% of this county is US Forest Service Property so you'll never feel crowded here.